Which Piece of the Peaceful Divorce Puzzle Do You Have? Every member of this site has their own unique message around the issue of Peaceful Divorce. When we each share the piece that we have with one another, we can put the puzzle together! Please share with us what your mission and your message is! My mission is to raise the consciousness of divorcing couples so they will stop, talk and create a caring plan of action before having that first crucial conversation with their children. Through my book and my website (www.childcentereddivorce.com) I encourage parents to create a peaceful, cooperative, child-centered divorce in every possible way. My message is there is a better, easier and more successful way for parents to break the divorce news to their children. My own experience more than a decade ago led to my writing How Do I Tell the Kids about the Divorce? A Create-a-Storybook(TM) Guide to Preparing Your Children -- With Love! (My now grown son wrote the introduction.) What makes this book unique is that I don’t just tell parents what to say. I say it for them! I use fill-in-the-blank age-appropriate templates to show parents how to create a storybook sharing family photos and history as a successful way to have this tough conversation. Therapists, attorneys, mediators, educators and other professionals from around the U.S. and beyond have endorsed the book, attesting to the value of my innovative storybook approach to this subject. Six therapists contribute their expertise to the book, as well. When parents choose to create a “child-centered divorce” the entire family will reap significant rewards in the months, years and decades to come. My experience with my own son is proof! I was thinking about you yesterday, Rosalind, as I sat in a pre suit mediation listening to a husband and wife argue about who told their son first that husband was leaving the household. This had to do with an older teenager. Interestingly, when dad told him, he replied that he was surprised that it hadn't happened 5 or 6 years earlier. Seems to me like kids often know what is going on..... even when parents are too chicken to talk honestly with them. Yes, I agree with you. In many cases the kids have picked up on the vibes in the home months and years earlier -- and inflict the pain and responsibility onto themselves regarding trying to fix the mess. I did that myself -- and my parents never got divorced. They just fought constantly all through my childhood -- and I blamed myself. All the more reason to create the intention to have a child-centered divorce from the start, so the kids get a break. My mission is to create a network of people who share information, inspiration and knowledge about Peaceful Divorce, whether they are experiencing it directly themselves, or are committed to the vision of Peaceful Divorce in their professional lives, or both! Then we take our collective messages to the world! "Happily Divorced!" book and audio program with 27 year relationship expert, Dr. Max Vogt, and created several sites, including this one and www.PeacefulDivorceProject.org, to facilitate Peaceful Divorce wherever possible. The testimonials on that site, and on www.HappilyDivorced.org are proof that it works! 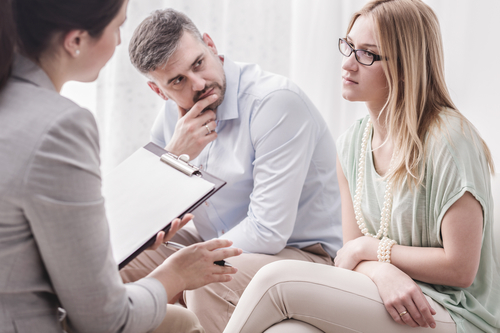 I am also working with the divorce attorneys to help them to embrace this concept of Peaceful Divorce, and there are many, many lawyers who are on board with it. We are working together to re-educate the divorce attorneys as to how peaceful divorce can be a win-win for them and their clients. They are a critical piece of the puzzle! I am deeply honored to be sharing this network with like-minded visionaries and know that we can and will change the way that the world 's families experience divorce! Appreciate your vision and the work you are doing! It all makes a difference. 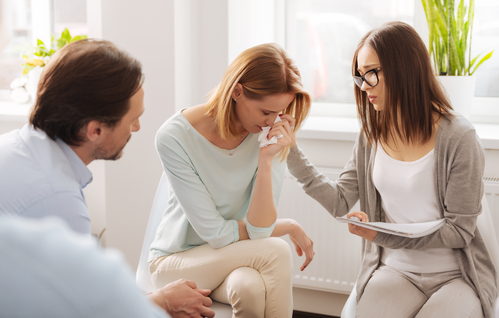 My mission is to bring the emotional education pieces missing both in the professionals handling this often traumatic and emotional process but also to the participants in every divorce. In the world today, you can go to school and get trained to do almost anything you want to do or be. The one thing our educational system is missing is teaching the basic skills and tools necessary to be an effective functioning adult in emotional situations. I want to bring possibility to people who have lost their dream. I want to bring inspiration to those in defeat and resignation. I want to bring the emotional tools and skills necessary to navigate the difficult emotional waters of loss, separation, and divorce. I want to train the professionals in those skills and tools so they can use them throughout the divorce process. 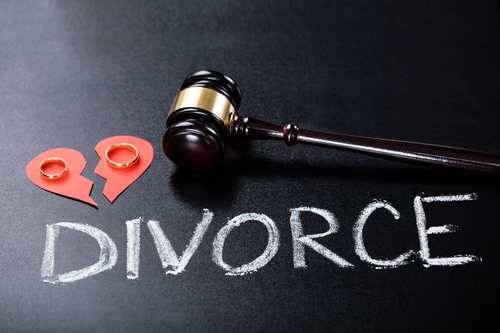 The concept of professional distance used by divorce professionals to protect themselves in divorce is often as cruel and damaging to the divorcing participants as the divorce itself. In not having the emotional tools and skills to handle divorce, most divorce professionals are not prepared and need to be trained in those skills themselves or bring in coaches specializing in that aspect of divorce so the participants have an outlet for all their emotionality. The fact is divorce can be a catalyst to an amazing new life and staying engaged in the past can only lead to more of the same. Healing the emotional wounds underlying the divorce is the key to leaving divorce whole and as a well functionaing adult. Spiritual Divorce delivers all of that and trained professionals in this model are essential to dealing effectively with the emotionasl ups and downs of divorce. 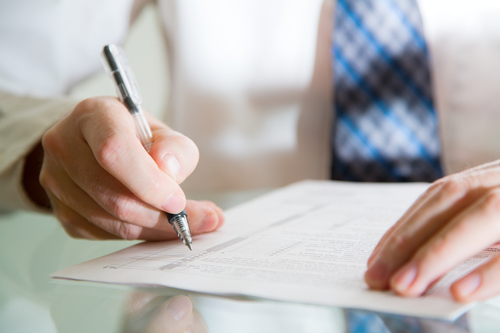 Having an effective outlet for the emotions makes the dealing with the difficult detailed negotiations around legal, property, and family issues much easier and effective. Trying to hold those emotions silent in the process is impossible and allowing them in is a disaster. It's heartening to know you are working to enlighten divorce professionals about this next level of consciousness regarding divorce. And it will give distressed couples permission to express their emotions in a supportive, yet productive manner. I hope to collaborate with you in every possible way to encourage my audience -- parents facing divorce -- to embrace spiritual divorce principles (what I refer to as Child-Centered Divorce) for the best and most successful outcome for everyone in the family! Wow, what a great question! I help women who were in abused relationships gain self confidence and learn the tools to take control of their lives. As the women go through the transition from fear to empowerment I help them deal with the situation they were in, but I also help them come to peace with it. So often women (and men for that matter) continue to repeat the cycle of dysfunctional relationships until they are able to learn how to release the programming in their minds that is creating the situation over and over again. My role is to help women learn how to master their psychology so that they stop the pattern of self defeating behavior. When children are involved it is important that the mother is able to be strong and be a role model to help the children move through the situation and come out on the other side with minimal scarring. These women are then able to co-parent and communicate in a healthy manner with their ex-spouse, for the sake of the children. My piece of the puzzle is still evolving. I am an attorney and a family mediator. Other than finishing some pending cases, I am never taking another case to litigate (Thanx and a tip of the hat to Cindy Harari for our recent conversation, and for inviting me to this website). I generally do pre suit mediations and offer clients a package for uncontested divorces with an agreement where the client does the negotiating directly with their spouse, with my help behind the scenes. I generally prefer cases where the parties have infants and very young children. I also consult with breastfeeding moms around the country who are involved in custody or visitation cases. My late wife and partner, Elizabeth N. Baldwin, was an attorney, mediator, La Leche League Leader and breastfeeding advocate, and I have tried to continue her (our) work. I believe that we live in a world that is very baby unfriendly, and I would like to see that change. The Courts are certainly baby unfriendly, and the recent trend toward 50 - 50 or rotating/alternating custody arrangements disturbs me greatly. In fact, the adversarial system disturbs me and I hope we can change the way things are by participating in this discussion. I like to tell clients that divorce is a process wherein they move from Point A, which is an unacceptable reality, to Point B, which is the rest of their life. I realize that my approach to guiding clients has always been somewhat holistic, recognizing that "moving on" is far more than getting a final judgment, and that some individuals need to do a lot of work to get on with life. I have always been greatly concerned for what people do to their children before, during and after divorce, and far less concerned with how much money they get. My favorite clause to insert in a parenting time agreement is that the parents and children will do something together at least once a month. I recently came to realize that I have spent 27 years helping people get divorced. Although I like to think that I offer a kinder, gentler divorce, and that many people absolutely should get divorced, I have always recognized that many of the couples divorcing could continue a wonderful relationship together if they just knew how to communicate. Specifically, I believe that the art of listening is mostly missing in this world, and that the lack of it is the single biggest cause of divorce. I am trying to figure out how I can help people stay together, even though I am NOT a marital therapist. I hold the space for creating peace through negotiation. But I also hold the space for blunt truth about what happens if they don't settle. I remember my law school mediation prof talking about BATNA (best alternative to a negotiated agreement) and I turned it around to WATNA (worst alternative...) which is always the litigation option. People really do want to act in their own best interest which is almost never hiring separate attorneys to do battle in court! It is pretty easy to explain why couples need to work together. They seem to get it. My mother used to tell me, "Fools and their money are soon parted!" Perhaps in today's economy more couples will listen to reason (especially when it affects their pocketbooks) and "give peace a try" as my old friend John Lennon put it. The timing is right to talk economy and peaceful divorce -- both to the media and clients. What do you say?